Often referred to as, “the Pearl of the East,” Van is a city nestled in the mountainous region of southeast Turkey. Sitting on the largest lake in Turkey, Lake Van, the city of Van and the surrounding region are known for its stunning natural beauty. Founded well before the turn of the millennia, the Tilkitepe Mound is the oldest evidence of settlement in the region, and has been dated to approximately 5000 BC. Urbanization of the area east of Lake Van began in the 10th century B.C., when the Urartian Empire arrived, and the Urartian King, Sardur I, famously constructed the Van Citadel. Van is historically home to a healthy religious diversity, including a Christian church from the 10th century that exists on Akdamar Island in Lake Van. The region changed many hands over the next two millennia, and was one of the most important strategic battlegrounds between the Ottomans and the Russians during WWI. During this time, Van’s large populations of Armenians were massacred in the Armenian Genocide, with death totals in the city numbering in the tens of thousands. Although the Kurds have acknowledged their role in the Armenian Genocide, it has been documented that many Kurds in Van actually helped Armenians flee from the genocide. After the Ottoman Empire was partitioned post-WWI, Van became part of Turkey, and the city was rebuilt several kilometers east of the ancient citadel. 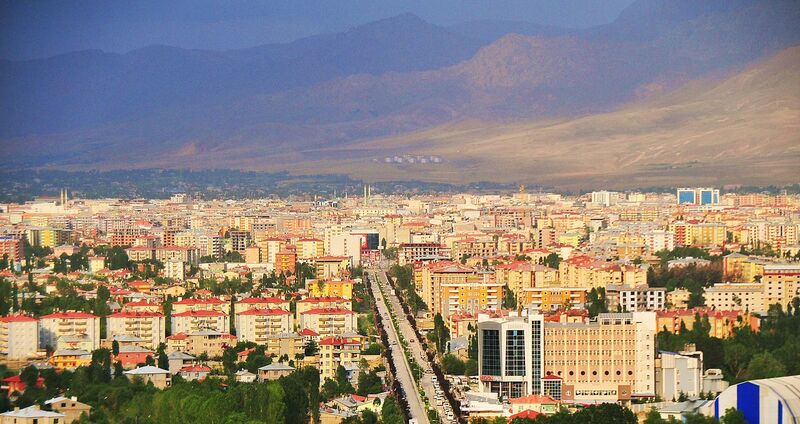 Today, Van is predominantly Kurdish in ethnicity, and is home to much activity in Turkish Kurdistan. Culturally, the city is known for its natural dyes, silversmithing, and unique breed of cats. In 2011, the region suffered from a devastating earthquake. 604 were killed and 4,152 were injured. The Turkish government was criticized by survivors and politicians for not providing enough humanitarian supplies in response to the disaster.